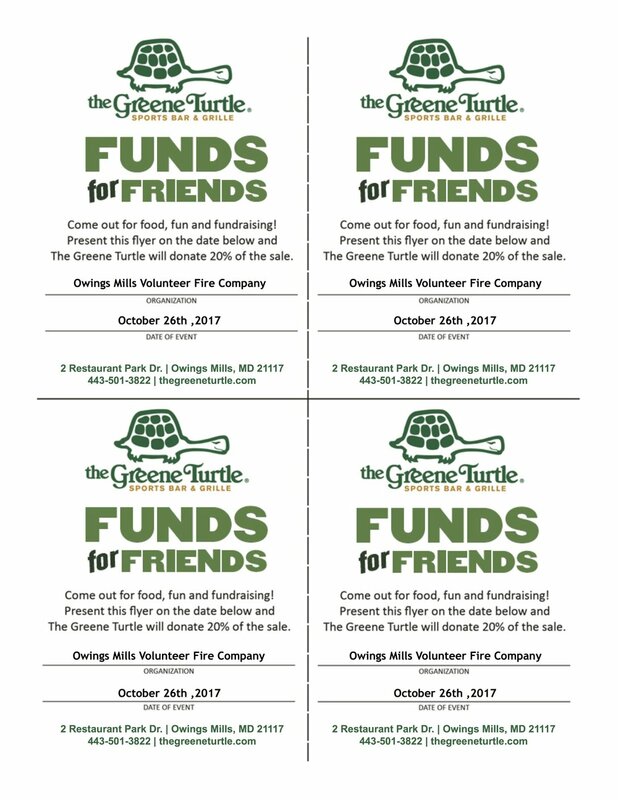 The Greene Turtle in Owings Mills, MD will be holding a "Funds for Friends" fundraiser for OMVFCo on October 26th - all day! You must tell your server or bartender that you're there to support our fundraiser and turn in the invitation with the check. Please tell your family and friends about this special event!